HSODBC also got desupported from Oracle, and replacement product is "Oracle Database Gateway for ODBC" (a.k.a DG4ODBC). Anyway, DG4ODBC is still free of charge. 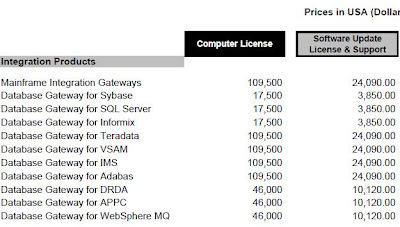 Below are current price taken from Oracle Price Lists.